“Timi Bhane” has been a staple anthem for most of us, and for good reasons too. It’s a great tune to sing along to, easy to remember the lyrics and I’m pretty sure a lot of people have memories attached to the song. With popular thrash metal songs like Freedom Looks Good on Paper and Idiot Nation, Albatross was not the radio friendly band when they started out way back in 1998. Evolved from a three-man school band to a band of four, Albatross has a huge influence amongst the current generation. One of the heaviest metal bands back in the days, we finally managed to squeeze in some free time in between their work for their new album recording to sit with us and discuss more about the band we love and are addicted to: Albatross. What does Albatross mean to you and how did it start out? Albatross is like a family to us. We are lucky to have had experiences –musical and non-musical with a lot of talented and beautiful people. For us, it is our identity, our pride. 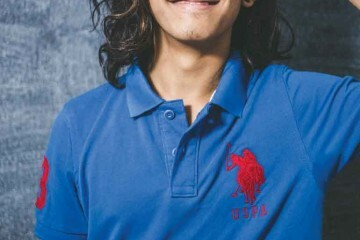 Albatross was born in the year 1998 and has made a landmark in the current Nepali music scene. It all began when a couple of guys came together with their rusted guitars and other old instruments to transcend the sound of Nepali Alternative music, each of which has significantly influenced the music which the band creates. Sustainability is key everywhere especially when it comes to making music. We have had many talented musicians taking on other options to sustain themselves, as a result spending less time in creating the art. As a band, we are back in the Kathmandu Live Music scene. We are determined to beat the odds and hope to stand out as an inspiration to other bands to keep on doing what they’re doing. We believe that Nepali musicians have a lot to offer not just to the music industry of Nepal but on a more global scale as well. I believe the Albatross lineup has changed recently. What caused this change and how is the new Albatross? Yes, recently we have been playing with Kismat Shrestha as our previous drummer Niraj had to take time off to concentrate more on his work. Kismat is a very versatile, talented drummer and brings a lot of charm into our rhythm section. Does Albatross have plans to come out with a new album in the near future? What can your fans expect from the album? We are currently working on our new album “Ma Ra Malai” due to be released at the end of the year. However, for our eager followers, we shall be releasing a music video in the next few months. The music video will be followed by an exclusive campaign emphasizing on the importance of supporting local artists. As for the music, we have constantly explored who we are and the environment around us is a big influence in us achieving that. In that sense this album is definitely different than the rest of our bodies of work. Most importantly it is a reflection of who and where we are as humans and a band being no less than honest and true to ourselves. Right now, Albatross is one of the most popular and maybe even the best band around. Do you feel any pressure and if so, how do you deal with it? We are just happy that we still get to rock the stage and make music that we like. There is no pressure in doing the things you love. Pressures only exist in sustaining by doing what you like. Until now it has been excellent and we thank our fans and well wishers for that. If I am not mistaken, we have seen two forms of Albatross; one as the daring heavy metal acts and now more into somber rock. Describe how the journey has been? What can we expect in the future? During the formative years of Albatross, we not only had to deal with lineup changes but also changes in the types of music we played. We developed as musicians playing funk and rock, enjoyed the metal scene and matured into who we are. We choose not to be bound to a specific genre, but opt to rather explore and experiment to reveal who we really are in different stages of our lives. What’s different about the previous metal influenced Albatross and the current Albatross? Did the previous band break up? What is the story behind it? First of all the members have changed, we had Dipesh on drums, Anurag Pokhrel on vocals and Diwas Gurung on guitars along with Sunny and Avaya. After Anurag and Diwas left, the band moved on making music with other musicians. The songs that we had recorded in our demo album “Hi:fly” were more heavy, hence a different genre. We didn’t break up; let’s just say we evolved. Albatross has been around for a really long time, when you started out in the underground scene did you imagine you would end up as famous as you are today? Fame is always good. However, if we had set our priorities as fame, we probably wouldn’t have “made it”. As mentioned before, we consider being true to ourselves the most important factor in our recognition. As a result we now have fame on our side and we’re doing exactly what we like to, how we like to do it circa when we started. I remember Albatross touring Australia, how was the tour? Compare the scene in Australia and Nepal? Any upcoming tours of the band? The “Lyf Cha” tour as it was called was our first international gig. It was new, enthralling and a highly memorable experience for us including the organizers. It was organized by 3d Events, who since our tour have continued to organize and showcase Nepali films in Australia and continued to invite other Nepali artists. We did 5 shows (Sydney, Adelaide, Brisbane & Melbourne) in the “Lyf Cha” tour and all of them were very successful. The main difference between Nepal and Australia is that for the people there, who don’t get to see us play often, it was a treat – thus, the support was overwhelming. Right now, we are working on a gig in UK, which has been postponed. Where and how can fans get your cds and music? Most cd stores in Kathmandu have our CDs for sale; outside Kathmandu it’s a bit limited (we still don’t have a proper idea). For international fans, our songs are available for download at albatrossnepal.bandcamp.com. If you wouldn’t be playing the particular instrument you’re playing, what would you play? How do you plan out your practices and rehearsals? The main thing is managing individual schedule along with the load shedding schedule. Can music be a good source of livelihood in Nepal? Yes, it can be. But it also depends on how you market yourself, the kind of music you make, live performances and most significant of all – staying together as a band. Tips to improve the Nepali music scene. 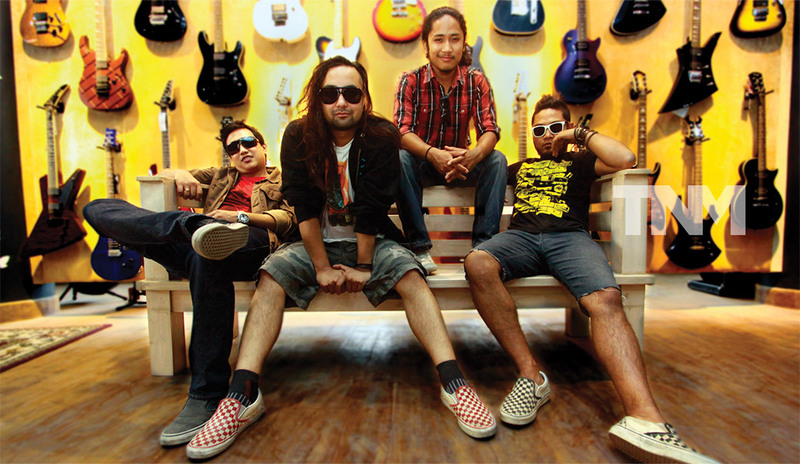 Nepali music scene has fragmented audiences. Musicians along with various other stakeholders – record labels, event organizers, FM and TV stations should work towards making the industry more organized. Nepalese audiences should support the artists by defying piracy and buying original contents provided by the artists. Finally, what do you think is a must have quality for The Nepali Man? Civic sense, emotional intelligence and a “can-do” attitude is what we require in our citizens be it female or male. But above all a sense of critical reasoning and communication is what is absent in most of us.